The Environmental Office of the Construction Facility Management Office was presented the 2010 third place National Guard Bureau, Environmental Security award in sustainability. 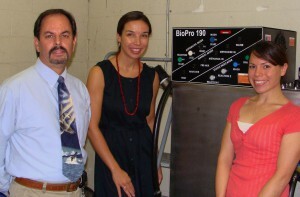 The biodiesel alternative fuel program, started under Meaghan Atkinson and Neal Newton, is in its second year. Figuring in initial investment, the cost to produce the fuel was $2.77 per gallon the first year and about 68 cents per gallon for subsequent years. Current cost of diesel is averaging $3.72 dollars per gallon. Current savings; $1,542 per year – full potential savings; $14,500 per year if 4,800 gallons are generated and used.